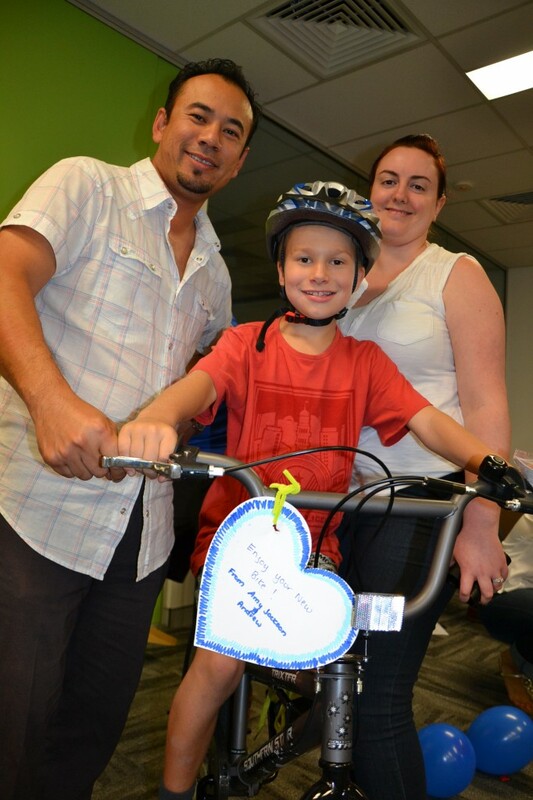 Build A Bike for Children’s Charities and Bikes for Tykes is a Corporate Social Responsibility CSR team building activity conducted in Sydney & Melbourne for organisations building team work whilst building bikes for kids in need. A team building activity program that will make a difference. Corporate team building with the gift of giving. 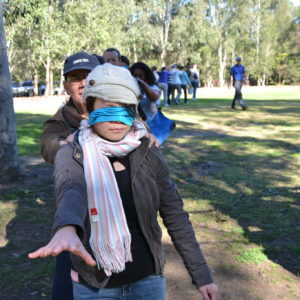 Sydney team building ideas that will motivate and inspire employees with engaging activities. Charity team building begins in the corporate office. Corporate social responsibility with achievable and rewarding results. 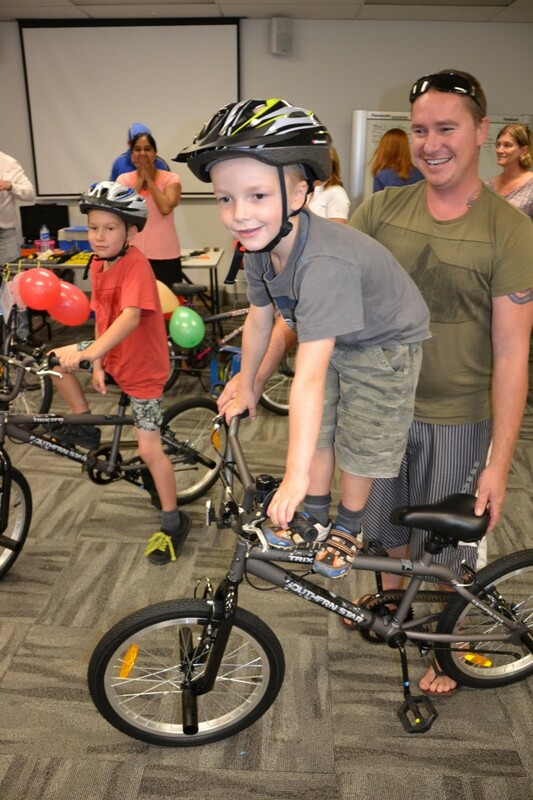 Team building activities for fun with Sydney’s best bikes for tykes. 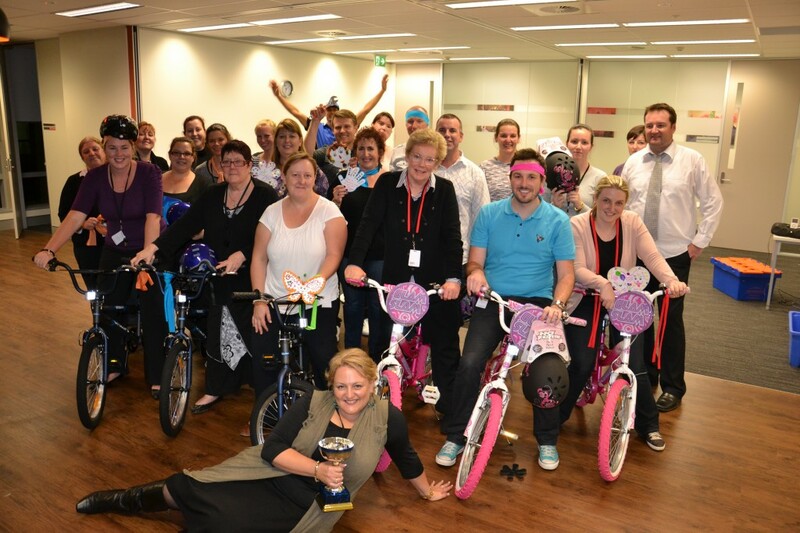 Build terrific Kids Bikes For Tykes, have your staff enjoying Corporate Social Responsibility (CSR) team building activities that are really terrific team building development exercises in Sydney, Melbourne and on The Gold Coast. 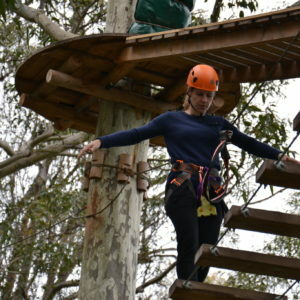 Create Rewarding Conference breaks that makes a difference to a child. Bushsports Build a Bike for Tykes and Children’s Charities as a unique Team Building exercise. Both original, intelligent and rewarding corporate socially responsible activity since 1990. The mechanics of team building is as important to us, as is your decision to select the best team building company to achieve real results. We understand that the presentation and key learning processes can make a rewarding impact to your business. Providing not only great bike for kids but also a return on investment ROI through increased employee morale. Bushsports utilises professional cycle mechanics, excellent team building facilitators. Exceptional tools, quality bikes and develops rewarding corporate experience. Appropriately matched with a suitable children’s charity. Improve team work and employee morale ensuring teams work together for worthy community related causes. Build a Bike for a Tyke Activity challenges can be facilitated indoors or outdoors along a journey with fun checkpoints. Collecting bike parts along the journey to accomplish the ultimate goal of a terrific & well built bike. Resulting in a special gift to a deserving child. This fabulous corporate social responsibility CSR event is ideal for companies looking to give something special back to the community. All professional staff and equipment to run and facilitated building activities. Personalised instruction of Cycle Safety taught by BUSHSPORTS cycle staff. Cycle Mechanic, quality equipment and exceptional facilitation. Free Team Photography package & Engraved Trophy * conditions apply. Groups are divided into teams to solve specific activity challenges in order to build bikes for children. Icebreakers: Teams discover more about each other and themselves in fun paced games designed to organise your team into bike building groups. Challenges: Skills are taught to sub teams who share knowledge resources and tools. Challenges are presented for teams to overcome and collect Build a Bike parts. Activities can lead teams outdoors,or complete the build a bike for children’s charity indoors. Bike Parts: As teams solve clues or complete activities, they acquire necessary materials and tools to build their bike. Teams Build Bikes: Groups soon discover that in order to succeed, they are not competing with each other, but with limited resources together to achieve the ultimate goal! Negotiating to acquire the correct parts can be incorporated in the design. Built: At the conclusion of the event. Bicycle mechanics inspect and assist in adjusting the bicycles ready to ride. eg Unicef, Make a Wish, Stuart House, Save the Children, Starlight Foundation, Red Kite, Smith Family, Barnardos, Smith Family, Salvation Army, Camp Quality or Red Cross. Build a Bike + Treasure Hunt picking up bike components mystery team building or Santas workshop. Leadership Development for empowering teams. Furniture for Families – teams building furniture for families in need, families in crisis and economically disadvantaged. For Flood relief victims in Queensland. Raise funds for Lifestart. An Early Childhood Intervention Service that helps kids with intellectual disabilities or developmental delays aged from birth to school age achieve the best possible start in life. Barnardos children also received Bushsports bikes built by CBA, Employers Mutual and over 18 corporate sponsors. 1. 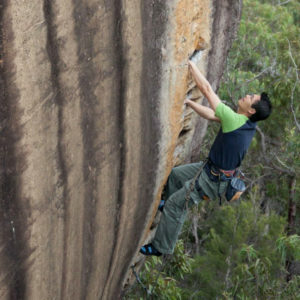 Commonwealth Bank Of Australia utilised Bushsports services to develop the RACE program. Focusing on Reliability, Agility, Culture and Efficiency. Integrated to the CBA Programs success within Sydney Olympic Park. 2. “The Build a Bike team building for Reckitt Benckiser conducted at Lilianfels was very inspiring! The team were only advised the purpose of their team building 1 hr before the kickoff and were keen to get into the spirit of doing something for charity. 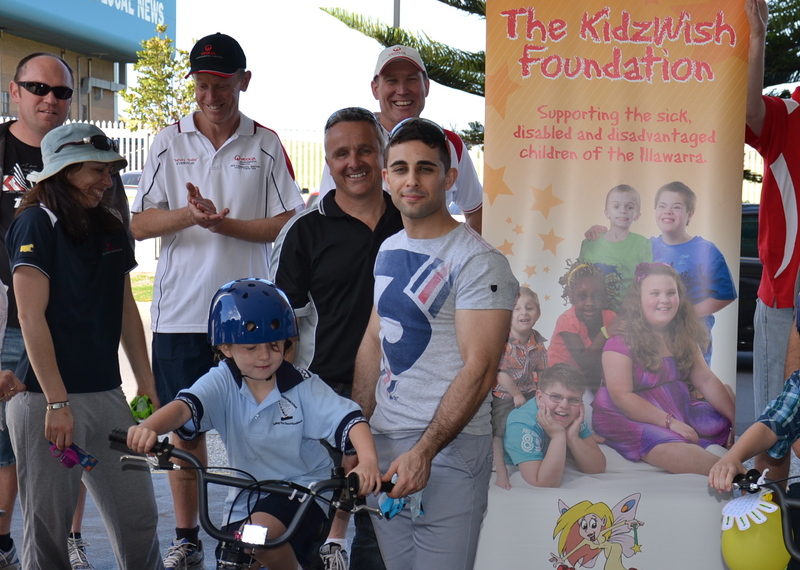 The most rewarding aspect, was knowing the bikes we built were going to be given to kids with disabilities. Build your staff corporate share bikes for sustainable transport systems. Have your business invest in eco-friendly, healthy ride to work alternatives. CALL Bushsports to discuss your teams future sustainable children’s bicycle transport systems 02 9871 3333.